Social Samosa takes a look at Social Media Trends 2018 that will help brands and agencies create competitive and disruptive digital marketing strategy. 2017 saw a lot of innovation and advancement in terms of product and technology. Going forward, it is expected that 2018 will be a good year and we will see a lot of changes in the social media marketing space – from the rise in the video consumption to the increasing use of Influencer Marketing or the spurt in the use of Live Streaming. Mark Zuckerberg estimates that 90 percent of the Facebook content will be video-based by 2018. Reports further state that we can expect variety within videos this year. Further reports suggest, in 2017, brands have spent over $1 billion dollars on influencer marketing on Instagram alone. In today’s age and day, when the attention span is decreasing, it is very important to create path-breaking content which demands attention and value for time. With the advancement of technology, businesses can now deliver highly personalized content. Following are some content marketing trends expected to stand out in 2018. Over the last few years, we have seen brands getting akin to social media content and even creating relevant content. But 2018 will be the year where brands will put their wits in distribution as well, a piece that was put on the back burner up until now. At a time where Facebook and YouTube are talking about zero organic reaches, brands will take distribution seriously. 80 per cent of social media traffic comes from mobile. Therefore brands are increasingly realizing the need to create snackable videos made for mobile (as opposed to those made for TVCs) that could be consumed on the go/while stuck in traffic/waiting in a queue. 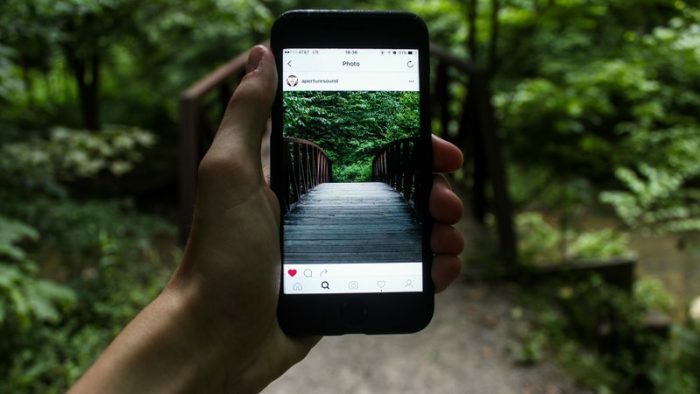 The social media content strategy of two of the most followed accounts on Instagram (National Geographic and Nike) is based on a single common principle of creating compelling, share worthy content that stays with the user. While Nike concentrates on churning content through videos, NatGeo narrates human-interest stories through stunning visuals. Between the two brands, they have a gigantic community of close to 160 million followers. That’s more than the population of Japan and Russia! In 2018, vanilla content marketing strategies will take the backstage and the marketers will spend more time in producing content that will be creative, relevant and impactful for their audience. Stringent guidelines, shorter attention span will force marketers to push the envelope of innovative, contextual content. As brands try to invent newer ways to engage with the consumer, user generated content will play a great role in building a greater connect with the customers. On platforms such as Instagram and Facebook, posting UGC yields higher engagement than regular brand posts. In the coming year, youth focused brands would look at street casting for their campaigns through UGC, running UGC led contests and making UGC an integral part of their online content strategy. By some industry counts, influencer marketing is a billion dollar industry. This is just going to swell in 2018 and following are a few influencer marketing trends which we expect to see. Going forward, brands will even zero in on a few select influencers who will not only drive awareness but ROI too. Digital marketers would develop an influencer marketing strategy that would yield high ROI for its brands. Mega, micro and macro level influencers will collaborate with brands to create video content that appeals to the target audience. Marketers would do well to treat influencers as equal partners as opposed to someone that’s asked to deliver on a campaign brief. Netflix in India is doing a commendable job roping in stand up comedians and presenters that are popular with the brand’s TG. In order to generate awareness in the social media space, brands this year will be seen working closely with macro-influencers and micro-influencers who are relevant to their business. It is expected that virtual reality, and augmented reality are set to completely change the business marketing of the future. Following are a few social media trends expected to be seen in 2018. Ten years since its inception, Twitter is rapidly losing relevance as a platform for brand building and marketing for business owners and marketers. While attempts to save the platform have been made in the form of introducing more number of characters (280 instead of the earlier 140) for instance, Twitter in 2018 would be effective in listening to brand conversations and as an ORM (Online Response Management) channel for brands. ORM will evolve in the coming year. Brands would realize that ORM is not just providing a resolution to an irate customer online and protecting the brand’s online resolution; it could be utilized as a mechanism to engage with a customer. Humour, wit and the ability to appear human and admit mistakes as opposed to adopting a mechanical tone, would be adopted by brands catering to a millennial audience. WhatsApp for businesses will perhaps be explored more aggressively and bots for messengers beyond the usual customer service will be one of the visible trend this year. Newer stylings in the use of Live on Facebook and Twitter to be considered by brands, beyond just using them to stream product launches and events. Instagram stories and polls to gain more popularity in this year. According to reports, over 200 million people use Instagram Stories each month, which is over 50 million more than those who use Snapchat. By this rate, almost half of all Instagram users will be using Stories by the end of 2018. Therefore, brands that are interested in connecting with Instagram users need to learn the tricks of Instagram Stories. Measurement is undoubtedly the BIG word on everyone’s mind at the moment, and that’s going to shape up well in 2018. It will be great to see marketers step outside their comfort zone and measure what they have done through traditional marketing metrics. This year, the marketers will even focus on measuring their business value and what impact their activities are making on the business’s bottom line. The article has been written, with inputs from Piali Dasgupta, Creative Director, SapientRazorfish, Anshul Sushil, Co-Founder & CEO, Boring Brands, and Mitchelle Carvalho, CEO, CogMat.